Thames Valley Police is appealing for witnesses following a robbery in Milton Keynes. Thames Valley Police is appealing for witnesses following a robbery in Reading. 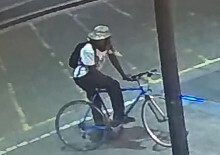 ​Thames Valley Police is releasing a CCTV image of a man officers would like to speak to following a robbery in Milton Keynes.